The Lytro Illum is the first high-end camera to use light field technology, allowing you to adjust the focus and perspective of a photo after it’s been taken. It normally runs for $1300, but today, Kotaku readers can save over 70% and get one for just $369.99 + free shipping - the lowest price on the web. Use familiar digital camera features: auto focus, exposure mode, etc. Most cameras capture the position of light rays, producing your average static 2D image. But the Illum’s cutting-edge technology records the direction of these rays, generating images you can later refocus, change perspective within, or view in 3D. You can essentially revisit the scene of the photo—meaning you’ll never miss snapping the perfect shot again. You won’t find a better price on the web for this high-tech camera, but it won’t last long. 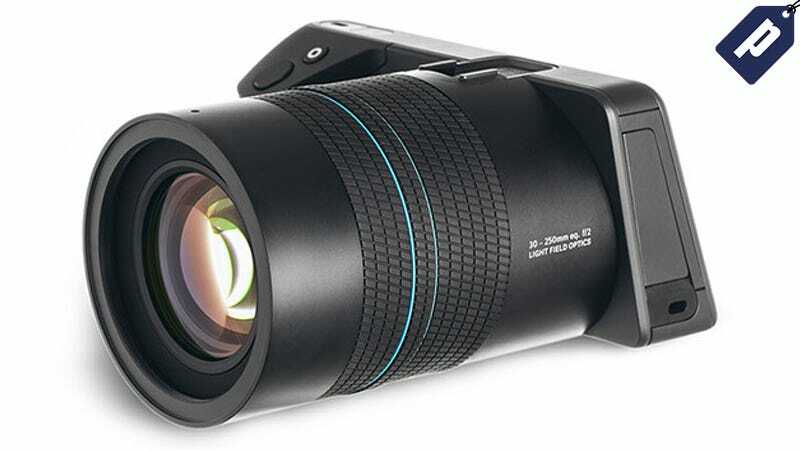 Hit the link below to get the Lytro Illum for over 70% off, with free US shipping.